Wage garnishments are by far the most common method of judgment collection available to creditors. They are considered a “first in time, first in line” priority, such that if several creditors are attempting to garnish the debtor’s wages, the one that serves the garnishment first on the debtor’s employer usually stands the best chance of getting paid in full. In a previous post, we described how creditors can collect monies owed by any type of debtor. Garnishments, by contrast, are a means of collection by which a creditor can get paid on a judgment against an individual. 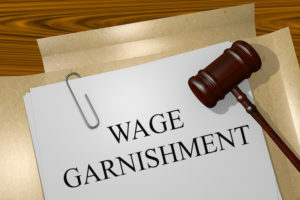 A wage garnishment starts when the creditor files the approved form with the court that rendered the original judgment. The court clerk issues the garnishment order and returns it to the creditor or its attorney for service on the debtor’s employer, along with a garnishee disclosure and calculation sheet. Once the employer receives the garnishment, the employer has seven days to send a copy of the writ to the debtor, and 14 days to complete the disclosure form and mail the original to the court, with additional copies to the debtor and creditor. The mailing of the garnishment writ and disclosure by the employer to the debtor is the first notice to the debtor that an attempt is being made to garnish his or her wages. By the time the debtor is made aware, however, the employer has already made the deduction. After receiving the garnishment, the debtor has 14 days to file an objection. Objections are usually based upon some irregularity in the garnishment proceeding or a legal bar to the garnishment, but they may not be used to attack the original judgment. If an objection is filed, the court will set the matter for a hearing and the employer simply retains the withheld funds pending resolution of the objection. If no objection is filed, the employer is required to send any withheld funds to the creditor or its counsel no sooner than 28 days after receiving the garnishment. Generally, wage garnishments total roughly 25 percent of the debtor’s net pay until the judgment is satisfied. Years ago, garnishments expired after 90 days and had to be refiled every three months to continue an employer’s obligation to make deductions and send payments to the creditor. Under current Michigan law, wage garnishments do not expire until the entire judgment balance, along with judgment interest, is paid, thereby substantially reducing the required paperwork as well as the creditor’s costs. This change in the law is significant because a “first in time, first in line” creditor is much more likely to be paid in full as long as the debtor remains employed. There are options if the financial burden is too great. Debtors may attack a wage garnishment by filing a motion for installment payments, and if the debtor demonstrates that a 25 percent deduction causes them substantial hardship, the court may order that a reduced amount be paid to the creditor, thereby nullifying the garnishment. Often, upon learning of the wage garnishment, a debtor will contact the creditor’s counsel and negotiate either a lump sum settlement payment or another arrangement to satisfy the debt. Surprisingly, this is frequently the first time the debtor pays attention to the civil lawsuit that resulted in the judgment and garnishment – at that point, real money is being taken from the debtor for the first time. If you have questions about recovering against a judgment or other monies you are owed, please contact us today to discuss your situation and the rights and remedies available to you as a creditor. 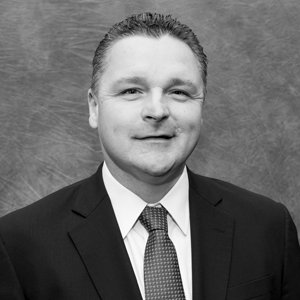 Ray Schultz has handled thousands of collection matters for companies, banks, and credit unions over the course of his nearly 30-year career, and “leaves no stone unturned” to recover money owed to his clients.